Local pottery artist Courtney Pernell (#pottercourt) often hikes and runs the Falls Lake trail section of the MST in Wake and Durham County. She is merging her love of the trail and pottery for “art in the park” on Sunday, February 10 when she encourages us to take a hike and find one of her small pottery stars along the trail. If you are lucky enough to find one, it becomes her gift to you, and example of “trail magic” that many hikers find along the MST. 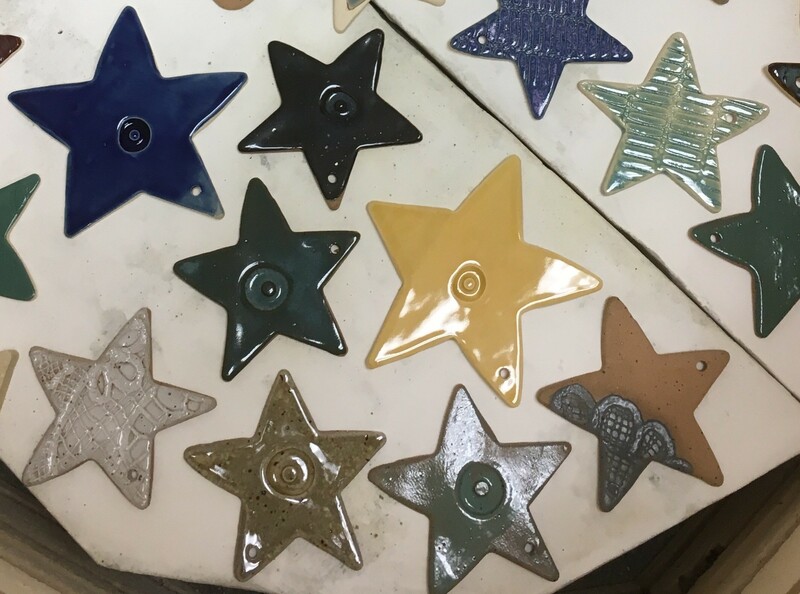 We ask that once you find a pottery star, snap of picture of you on the trail and post it to Facebook or Instagram with the hashtag #mst and #pottercourt. Let’s encourage people to hike more and also enjoy the natural outdoor art that we have on the MST at Falls Lake. There will also be 3 ceramic hearts along the same stretch of trail. One heart will indicate that you have won a handmade pottery coffee mug by Raleigh artist Courtney Pernell (@pottercourt). The other 2 hearts will indicate that you have won MST trail guides for the Falls Lake section and some fun MST prizes. Please email info@mountainstoseatrail.org for prize pickup. Have lots of fun and good luck!! Let’s get out hiking and enjoy the 60 miles of the Falls Lake trail during February! Thanks to Courtney for sharing her love and light with the local hiking community.